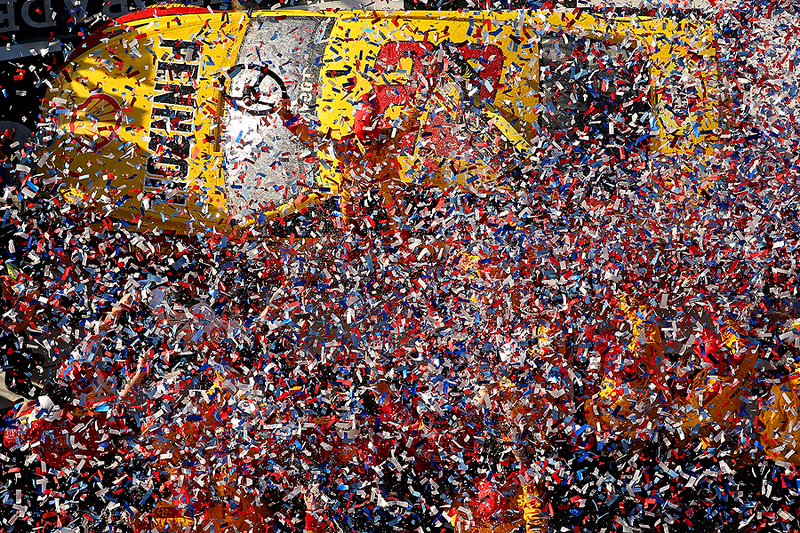 "Joey Logano, driver of the #22 Shell Pennzoil Ford, celebrates in victory lane after winning the NASCAR Sprint Cup Series 57th Annual Daytona 500 at Daytona International Speedway on February 22, 2015 in Daytona Beach, Florida." There is no better place to be than Daytona Beach in February. The Getty Images team spent every day at Daytona International Speedway documenting all the excitement of SpeedWeeks - the opening two weeks of the NASCAR season. From setting up technology, to shooting portraits during media day, and covering the many practices, qualifying events, and races - each day was challenging, but rewarding. Every day prepared the team for the Super Bowl of NASCAR - The Daytona 500 - where Joey Logano took home the checkered flag. After it's all said and done, it's a reminder that hard-work pays off, and there really is no better team to be apart of. Everyone pulls their weight and puts forth everything they have each and every waking hour. With lots of newsworthy story lines, from Jeff Gordon, big on track accidents, emotions, tensions, owners, fans, and Daytona truly is the epicenter of racing and I'm looking forward to the rest of the season. 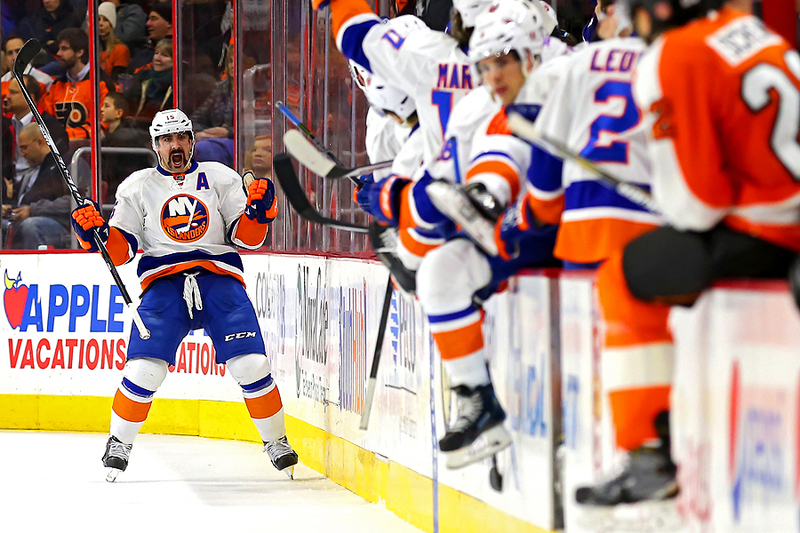 "Cal Clutterbuck #15 of the New York Islanders reacts after scoring a goal against the Philadelphia Flyers in the second period at Wells Fargo Center on February 5, 2015 in Philadelphia, Pennsylvania." There is no greater story in life than a come back - sports is no different - even in regular season. Coming into Philadelphia, the New York Islanders were looking to come away with a win, and it wasn't going to be easy. Down a goal relatively early the game, the Islanders fought to come back, and did just that when Cal Clutterbuck scored the tying goal late in the second period. His goal would give his team the momentum it needed heading into the third period. A sea-saw battle, the game was forced into overtime. As heated play resumed, the Islanders came away with the win following a shootout, in which, Clutterbuck also stuck the game-winning shot. 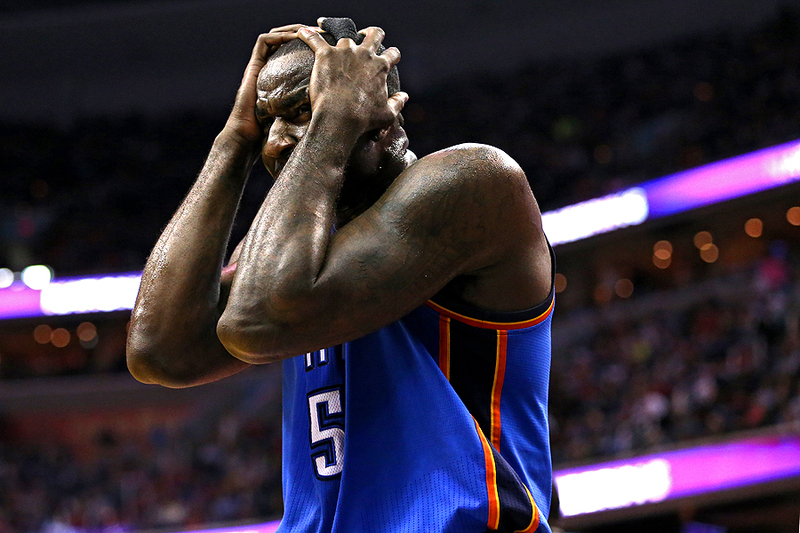 "Kendrick Perkins #5 of the Oklahoma City Thunder reacts to a call against the Washington Wizards in the second half at Verizon Center on January 21, 2015 in Washington, DC." Like a professional of anything business, athletes days aren't always how they invivsion them. Some days on the court or field they're perfect - other days - they're a struggle. Even when they're having an amazing day statistically, a simple foul could shift momentum of the game to give the other team an advantage. I continually strive to find more and more of these emotional aspects of the games being played in front of my lens. They're storytelling and important to night's game. During an Oklahoma City Thunder versus Washington Wizards game recently, a small infraction against Kendrick Perkins of the Thunder had him questioning something inside his head during a very tight, exciting game. In the end, this image would be meaningless to the overall outcome, as the Thunder came out victorious in overtime. But at the time, for a brief second, this meant everything visually.